Our whole video library is available for you to browse here. Use the filters on the left to watch videos on a specific topic. 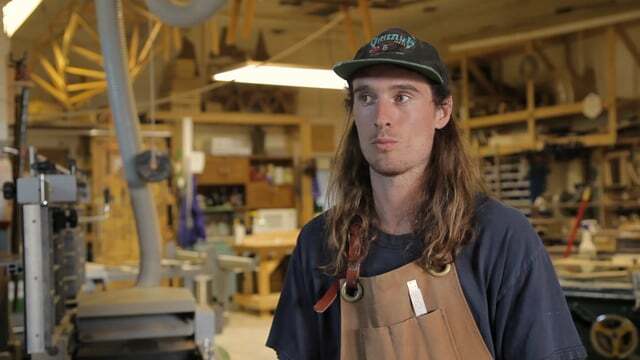 Learn about our values and approach in this About Us video. 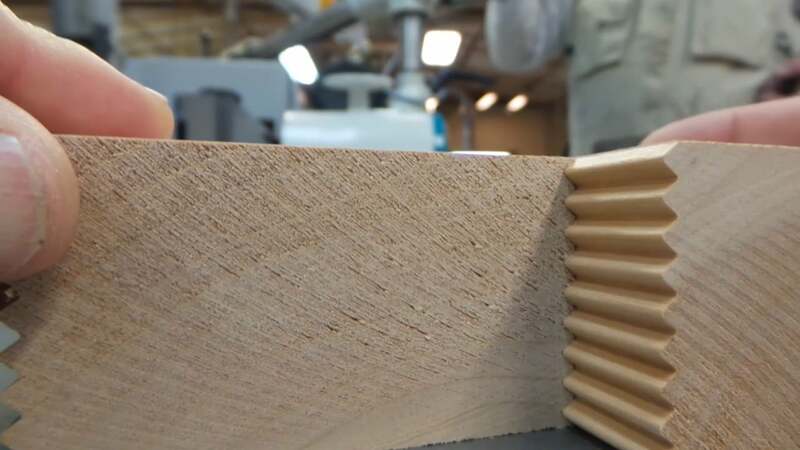 Learn about how Rangate tooling helped the Daly Co. realize their creative vision for a community project. 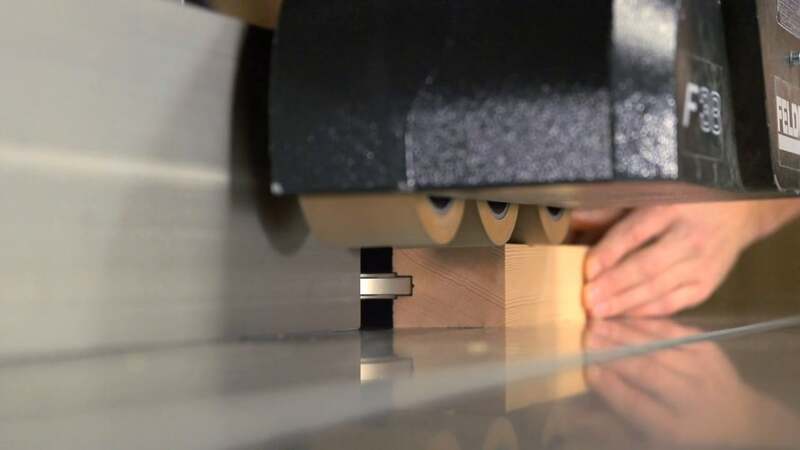 See the range and capability of our Adjustable Groovers in this short video. 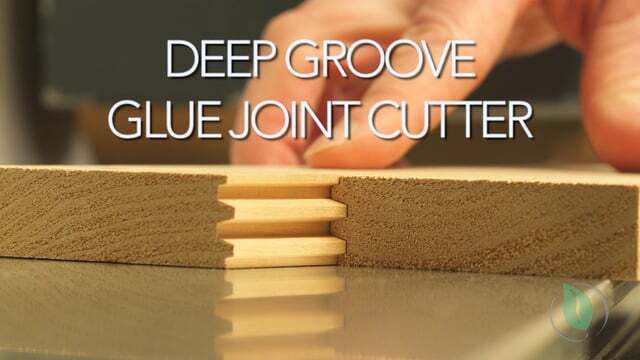 See our Deep Groove and Full Reference glue joint cutters in action. 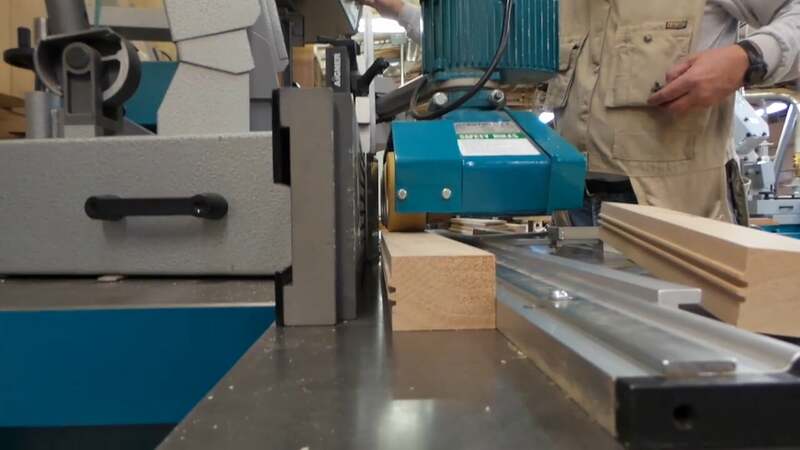 See the precision of our Lock Miter cutter in this quick video. 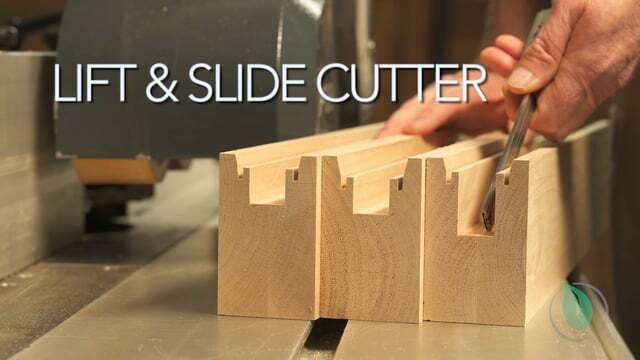 Our Multi Use Cutter is the most versatile cutter you can find anywhere. Get a feel for all of the things it can do in this quick look. 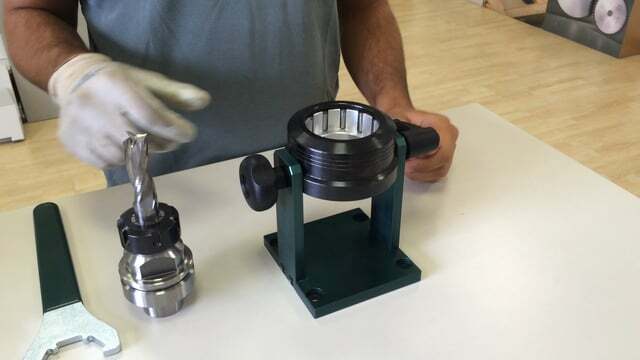 The Spiral Cutter is a powerful tool for custom work and copy shaping. See it run in this video. 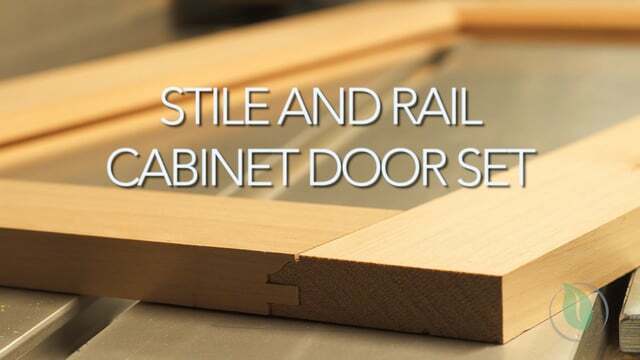 With a range of thickness and profile options and an innovative design that requires no cutter or fence changes between profiling and tenoning, this cabinet set is worth a closer look. 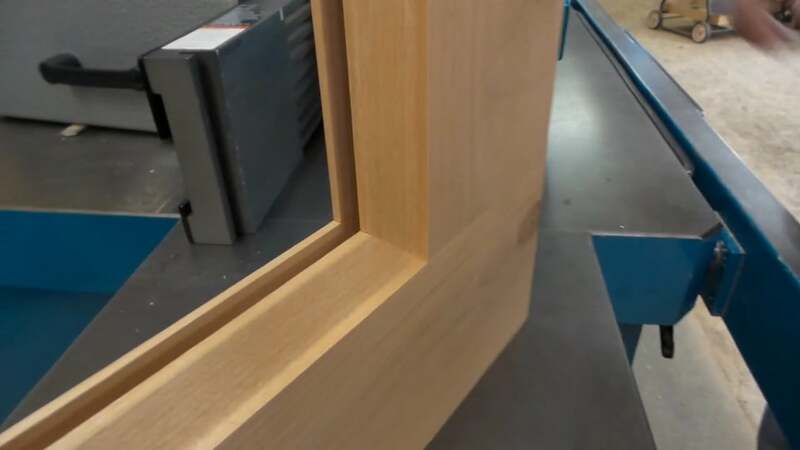 Our door set can craft both interior and exterior doors with quality joinery up to 2-1/4" thick. See it run in this short video. 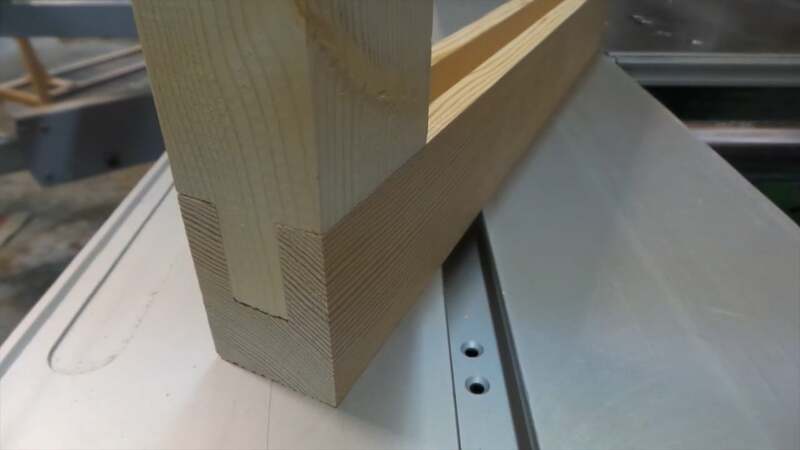 Our panel raise cutter can be fitted with a wide selection of profile options, and cuts smooth, even on the cross grain passes. 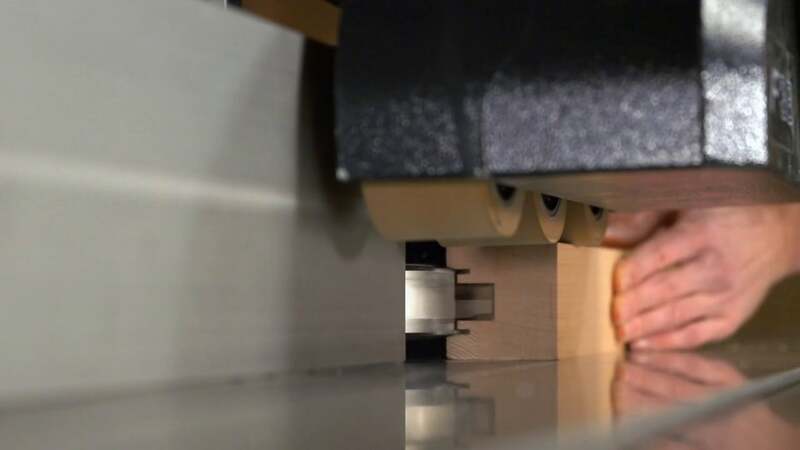 Our Lift and Slide cutter is an essential for anyone looking to make this high performance, increasingly popular style. 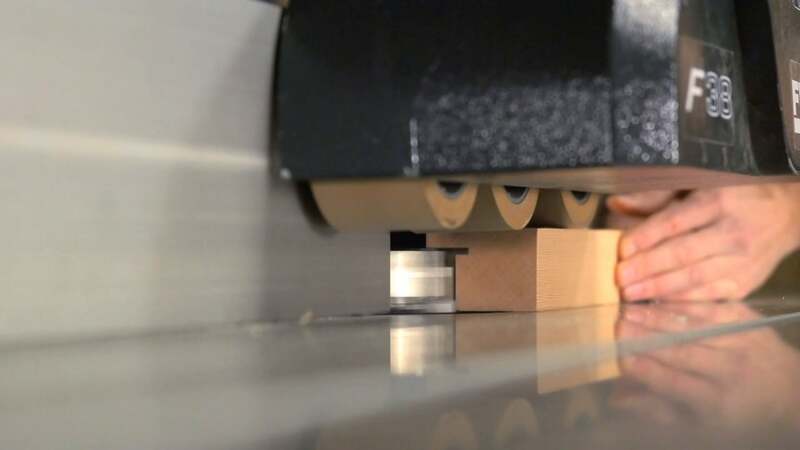 This tool mills a "Euro Groove" for multi-point lock systems in a single pass, with a unique design within the industry. 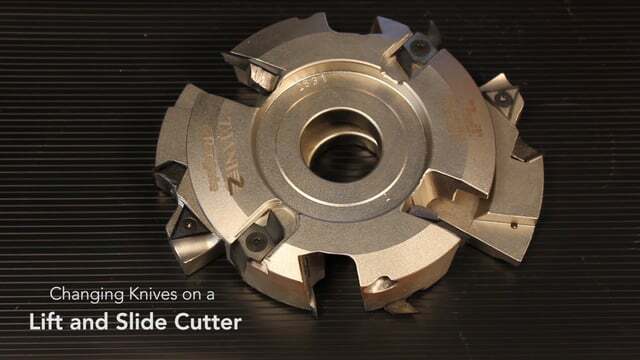 CutterShare enables you to get Rangate's tools for 1-3 months for a fraction of the cost of owning. See how it works in this video! 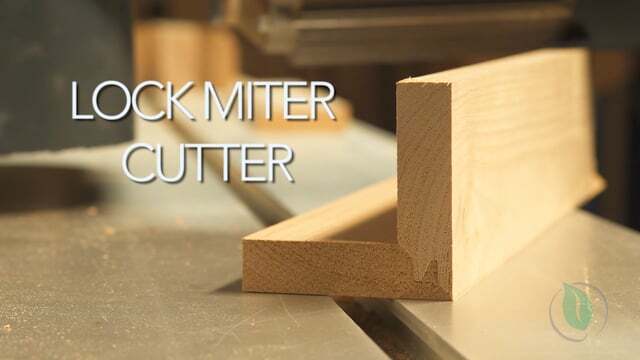 This is a handy guide to setting up and running our Lock Miter tool, now available through CutterShare. 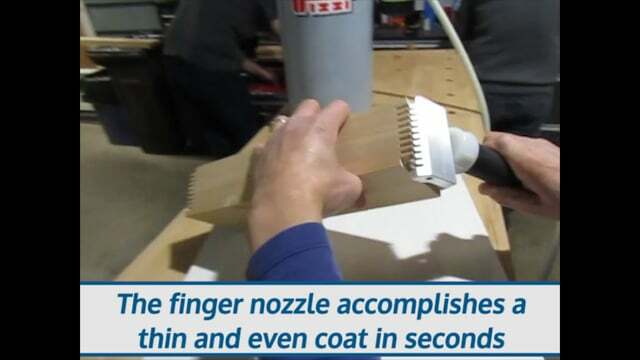 Our much-loved "zigzag tool" is available through CutterShare! 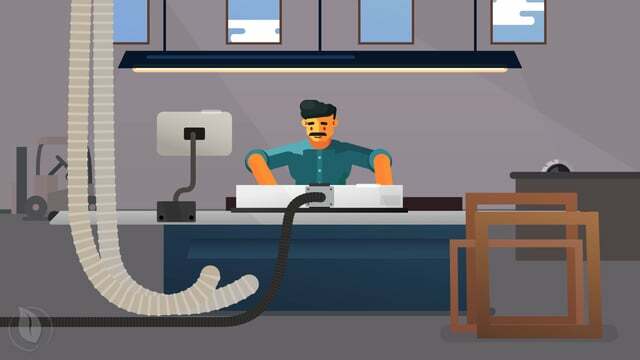 See why it's got a great reputation in this video guide. 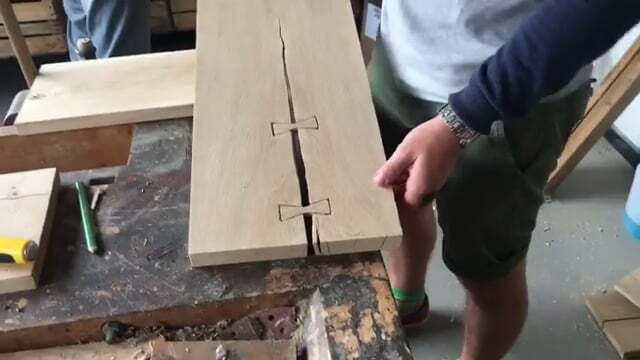 Seeing is believing- it really is as easy as cutting two pieces and flipping one over to have a tight glue joint with this tool. Now available through CutterShare. 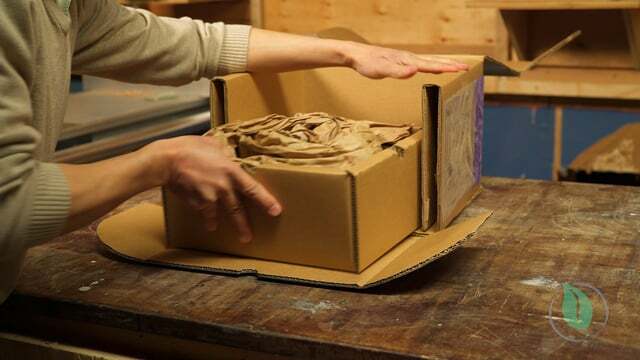 Strong and deep finger joints are now available to everyone! 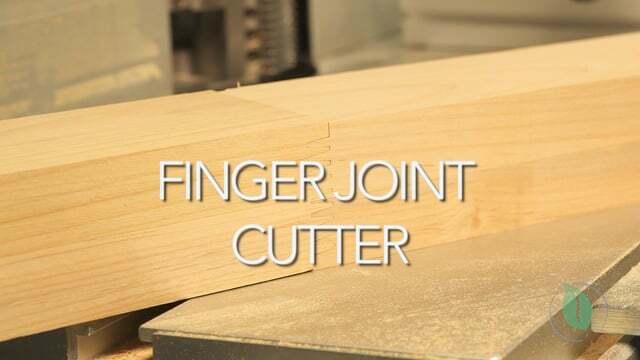 Check out the video guide to see how to set up and run along-the-grain and cross-grain finger joint cuts. 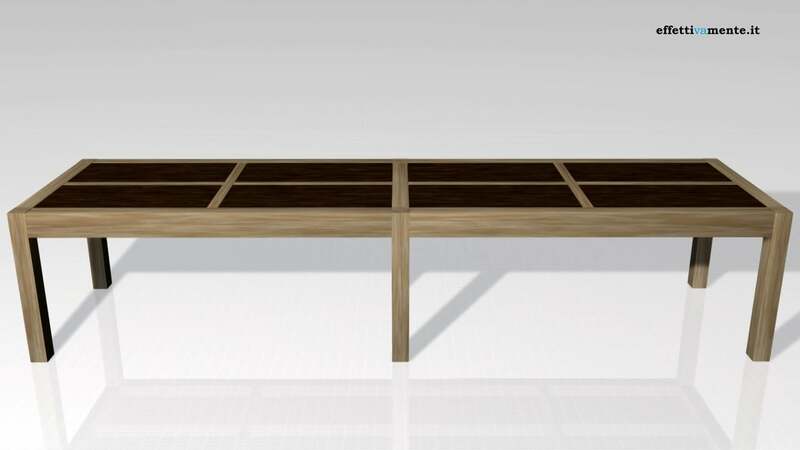 This premium quality cabinet set is available through CutterShare for a fraction of the purchase price. 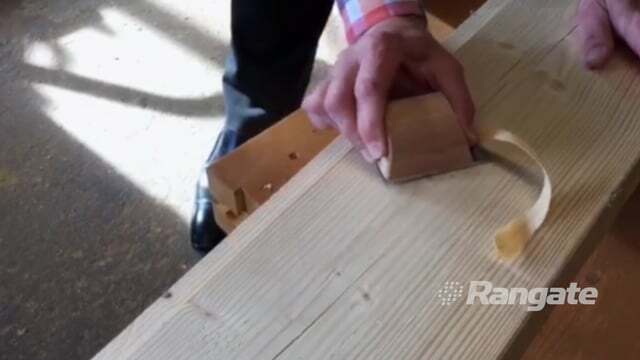 See how to do the coping and sticking cuts in this video guide. 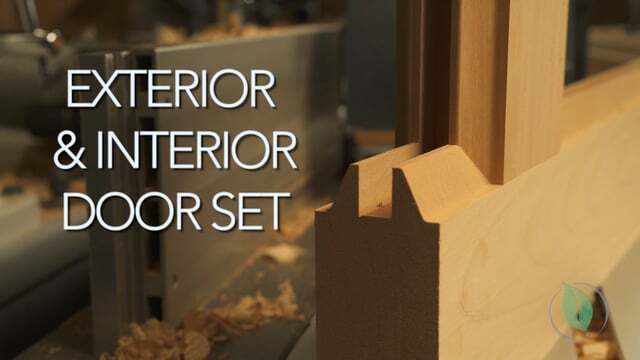 If you've thought about trying to build doors, sharing our set via CutterShare is the easiest way to use premium tools without a serious commitment. 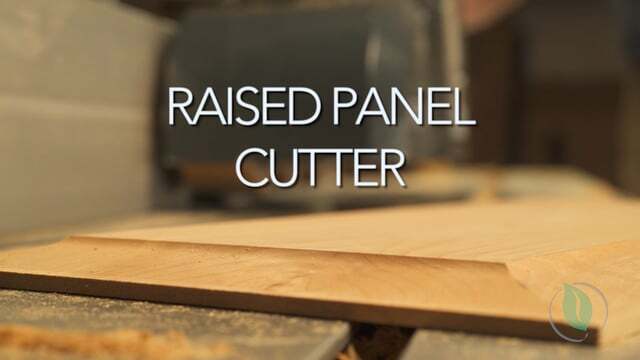 Our Raised Panel cutter is available through CutterShare. 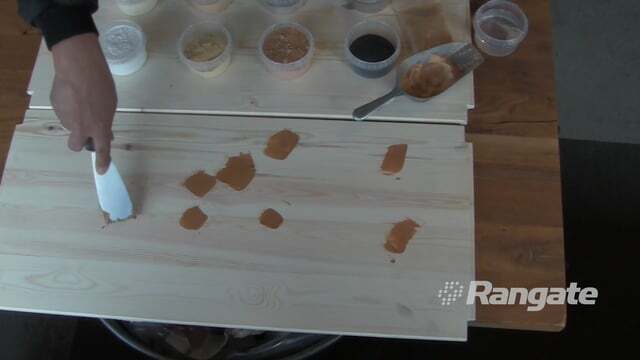 Get a look at how to set up and run clean panels in this video tutorial. 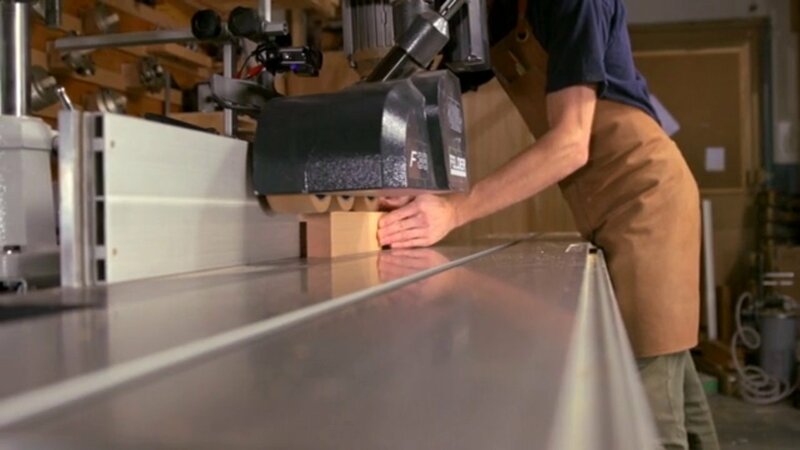 Prototyping your Lift-and-Slide door or doing that 1-off job has never been easier- accessing our performance cutter is just a few clicks away. 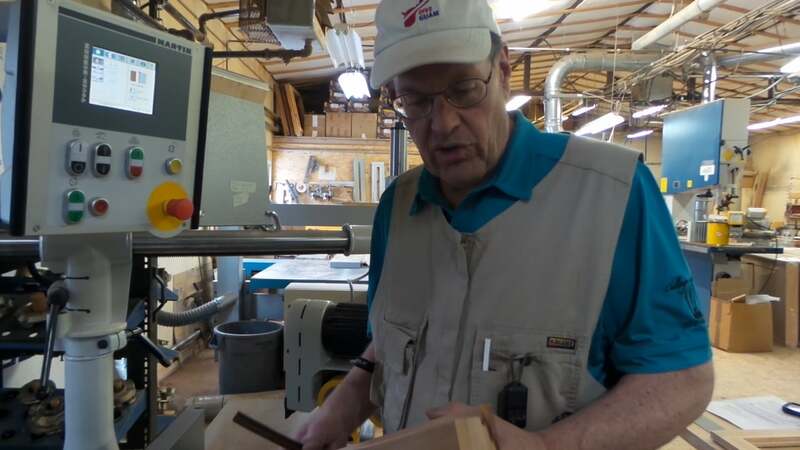 Sharing this heavy duty tool will make sense for many wood shops. This setup and use guide will give you a great idea of its capability. Quick look at how sending CutterShare orders back works. 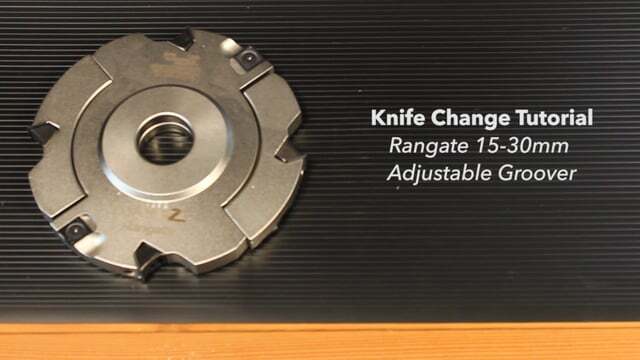 We go deep on knife changes with some large window tools. A comprehensive guide to safely changing edges. 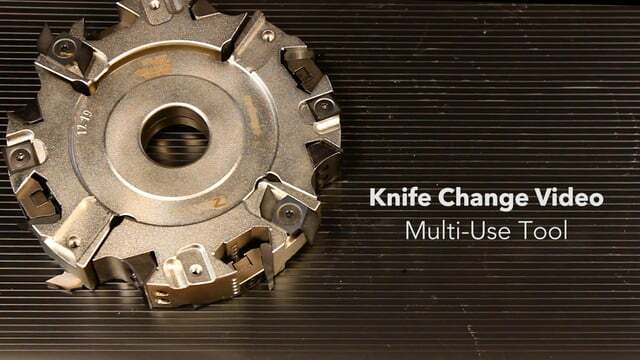 This guide shows you how to safely change out each knife type on our Multi-Use Cutter. 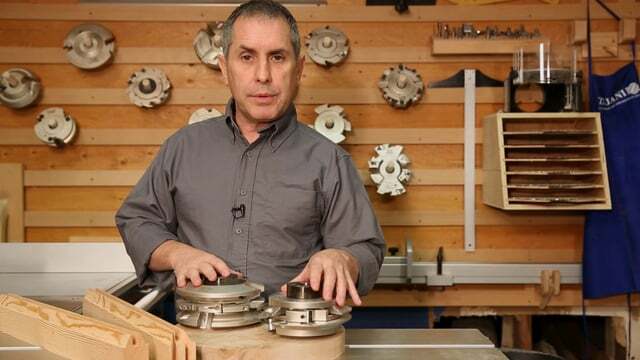 This guide shows how to safely change out all of the knives on our adjustable grooving cutters. 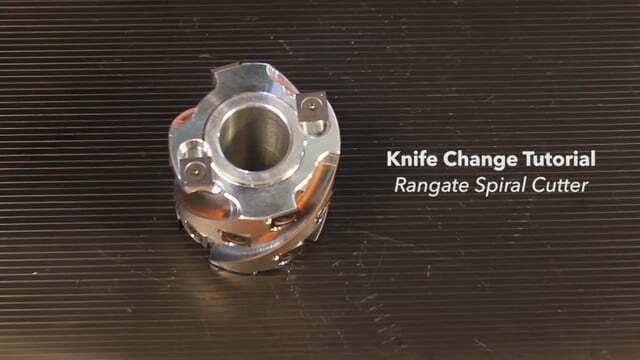 This guide shows how to change out the knives on a spiral cutter. 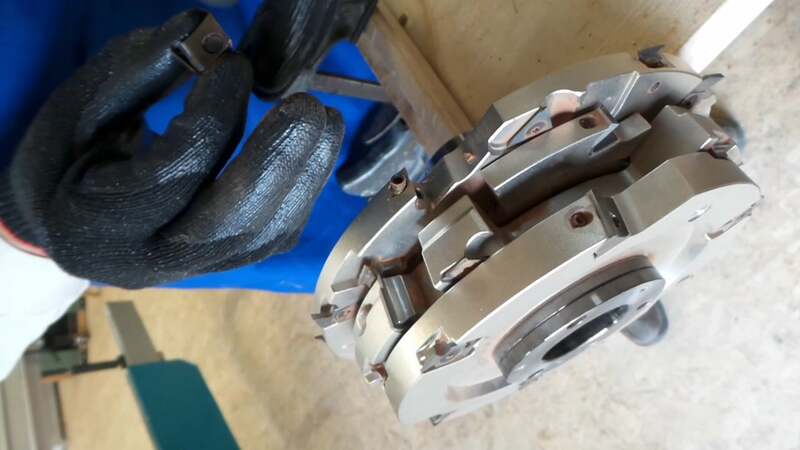 Note this video depicts our previous aluminium spiral cutter design. 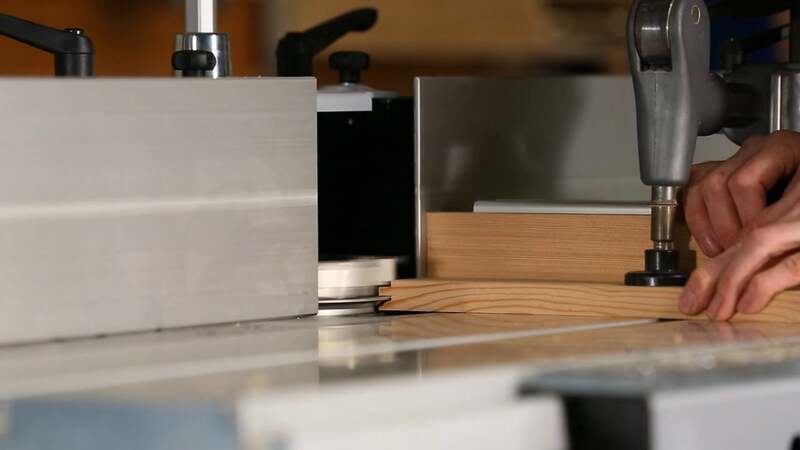 This guide shows how to safely change out all the knife types on our lift and slide cutter. 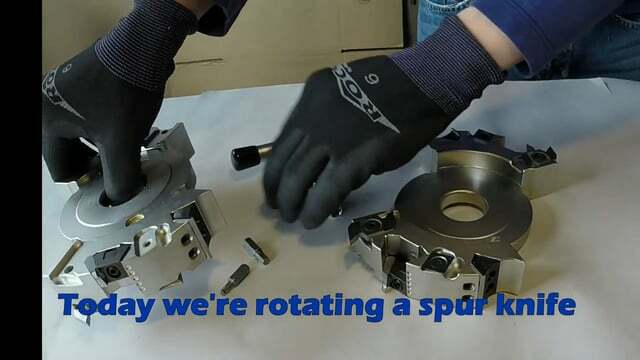 This video shows how to use our Torque wrenches, which turn over with a click after applying the correct amount of torque. 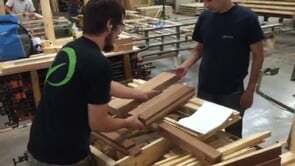 This video goes over using our Adjustable Groovers to make stub tenons. 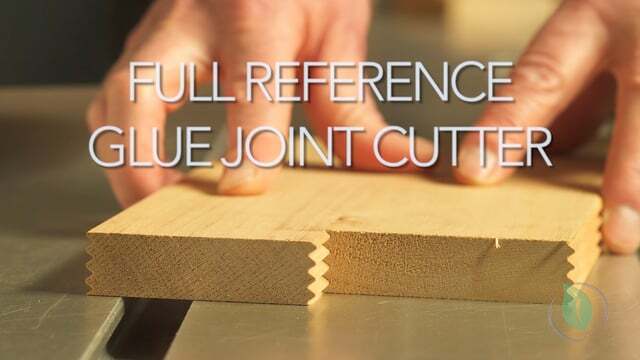 This video takes you through the use of our Full Reference Glue Joint Cutter. 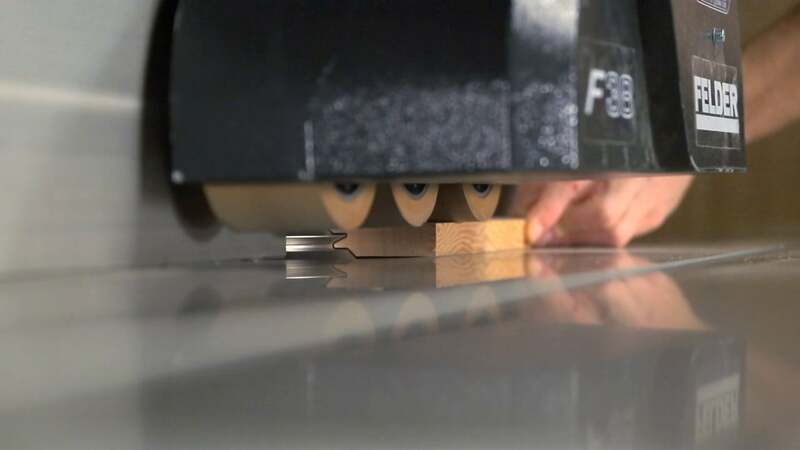 Overview of how easy it is to run our Deep Groove Glue Joint Cutter. 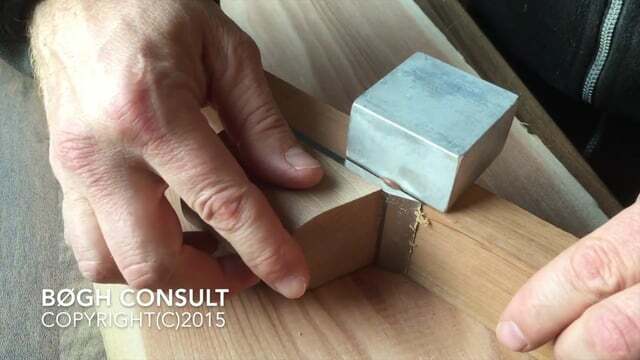 Lock Miter cuts have a reputation as tricky- this video will help you get it right, every time! 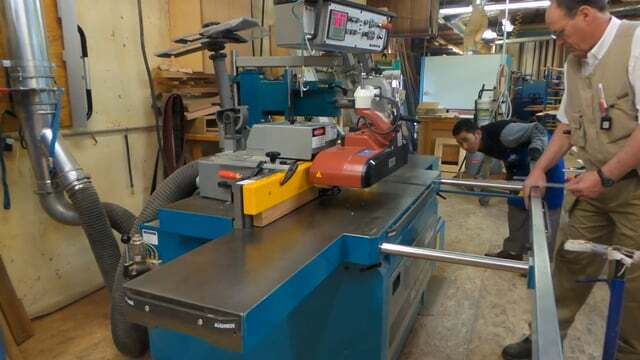 The Vari Angle Cutter can be used for many different jobs. 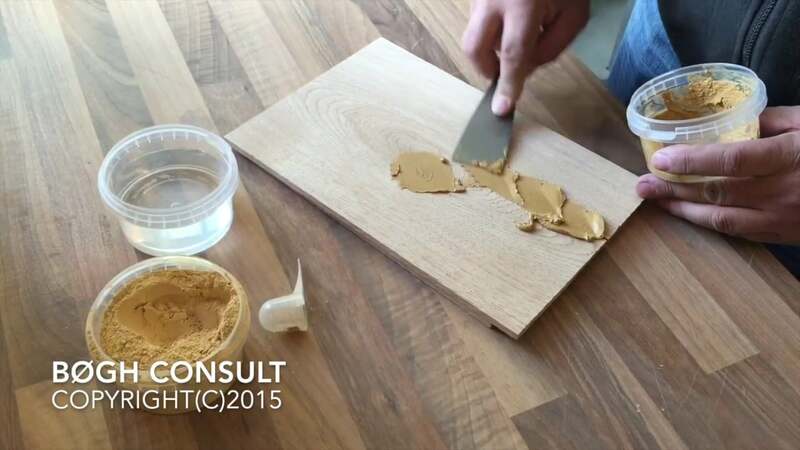 See how to get the most out of it in this video. 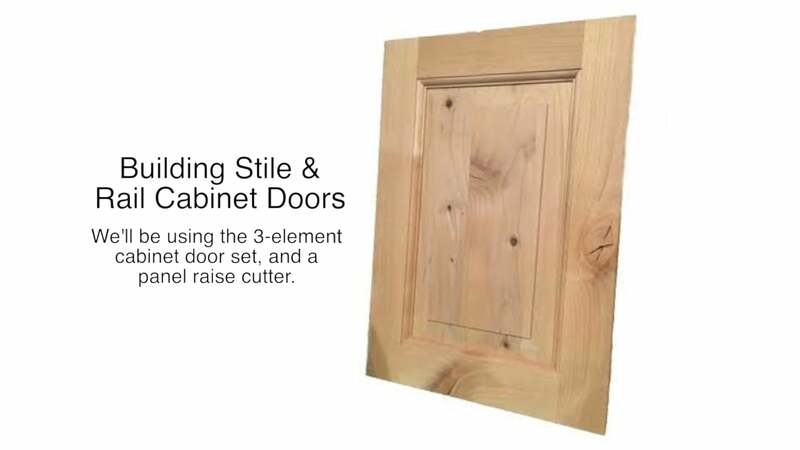 We use our cabinet door set and panel raise cutter to put together a classic 5 piece cabinet door. 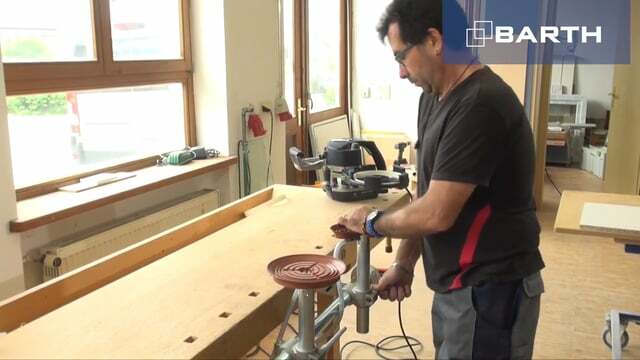 Making a Chair with the Spiral Cutter, Pt. 1. 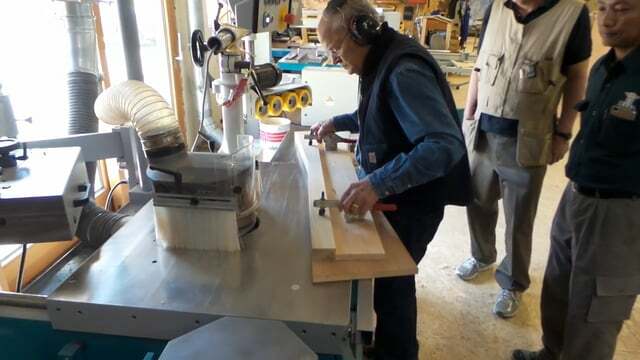 Clips from Alpine Workshop attendees using the spiral cutter to make chairs. 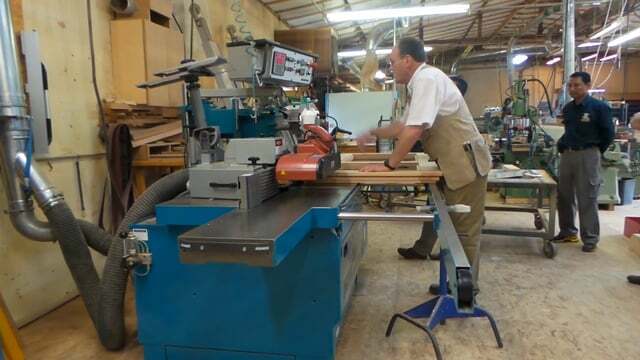 Clips of Alpine Workshop attendees using the Spiral Cutter to make chairs. 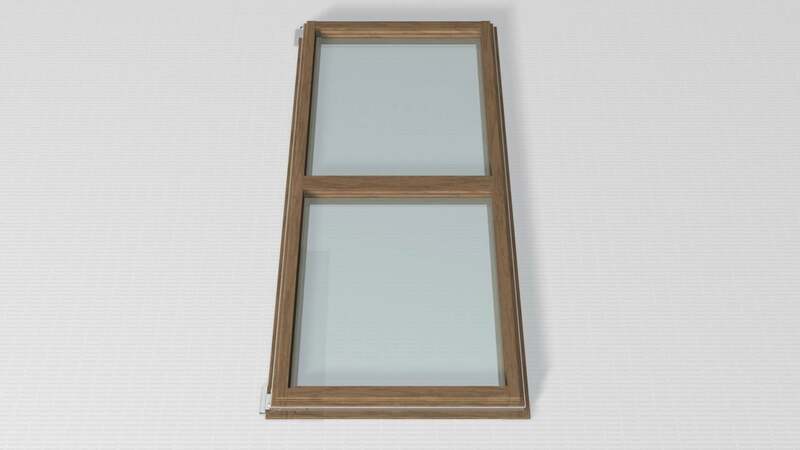 We go through the process of building the frames for captured-panel doors, as well as French doors. 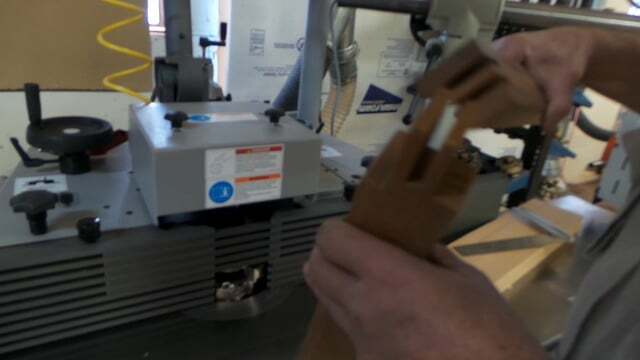 Using our Multi Use tool to clean up edges and put radiused edges on our stock. 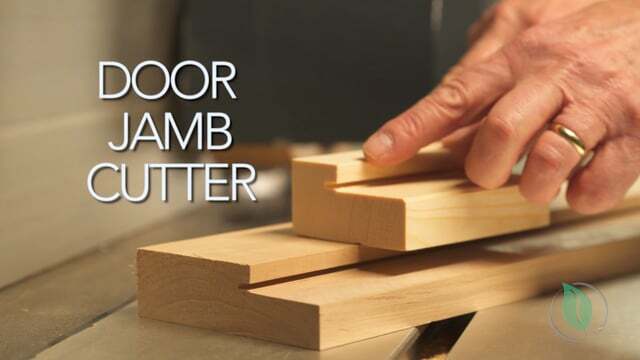 This shows how to put together paneling for flooring or walls with the Multi Use Cutter. 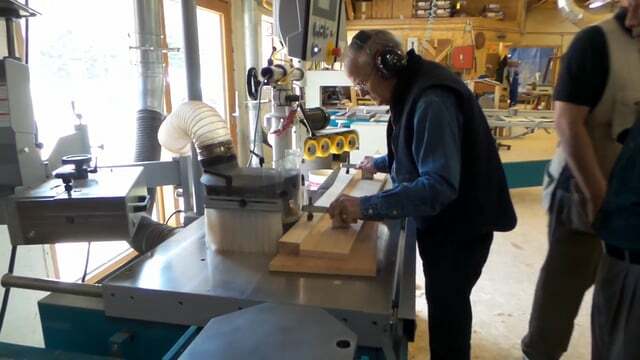 We use the Multi-Use cutter to groove the frame for a Lift and Slide door. Using the Multi Use Cutter to cut gasket grooves for our sash. 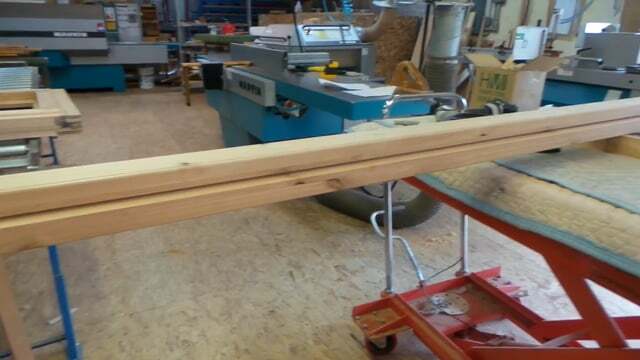 Setting up a custom zero clearance fence to shape large sashes at the Alpine Technical Workshop. 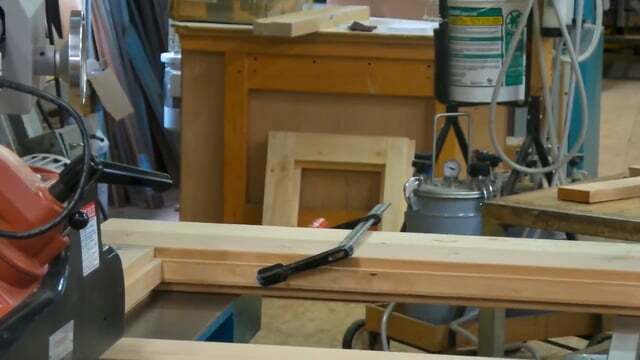 Shaping the outside of a large sash after assembly. 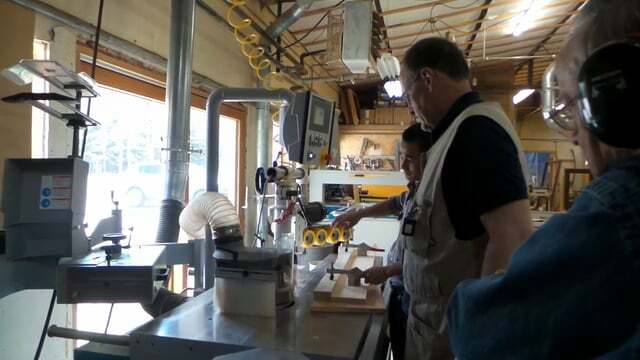 Quick shot of some window components after their first pass through the shaper at the Alpine Workshop. 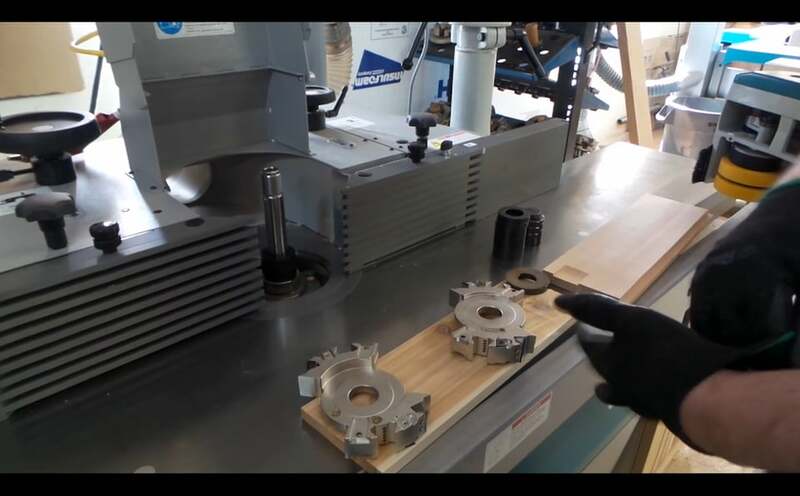 See how the Prüller joint is machined and joined in this informational video. 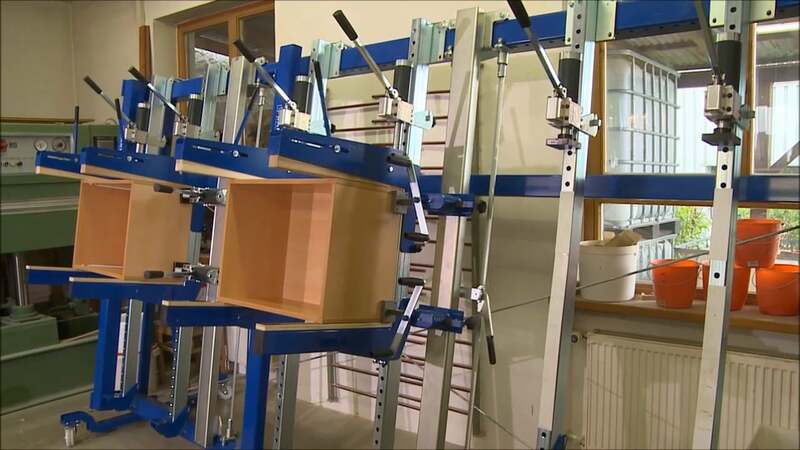 See the CRAFTER angular processing center specifically designed for door and window manufacturing in this video. 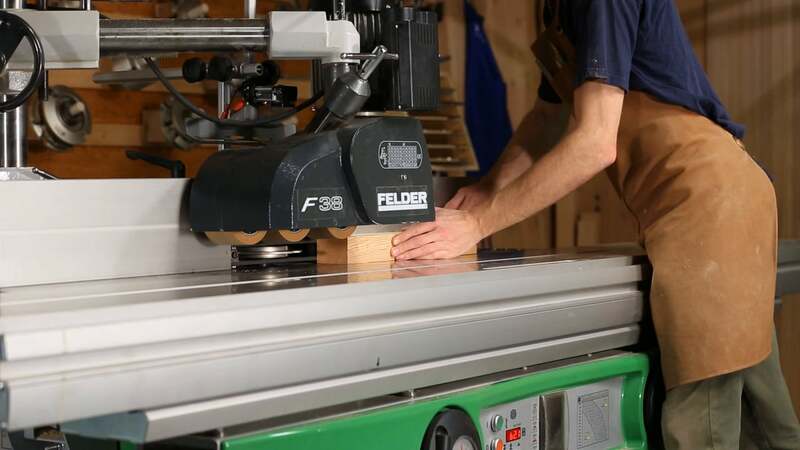 We recommend anyone using HSK cones to use a tool setting stand. See how it works here. Seeing is believing! 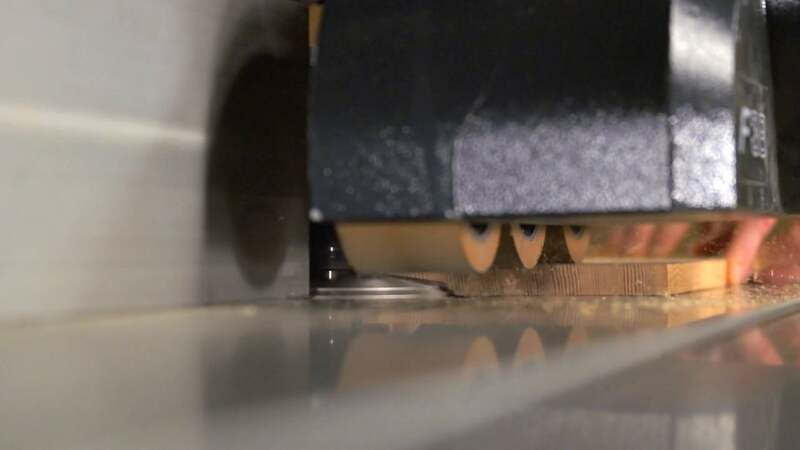 Check out how much dust the TORNADO cyclones off of a workpiece during nesting operations. 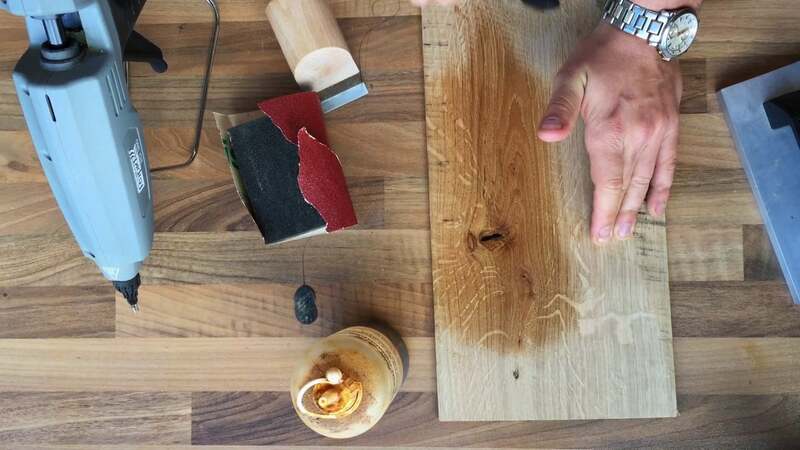 This technique is good wood science, and looks great too. 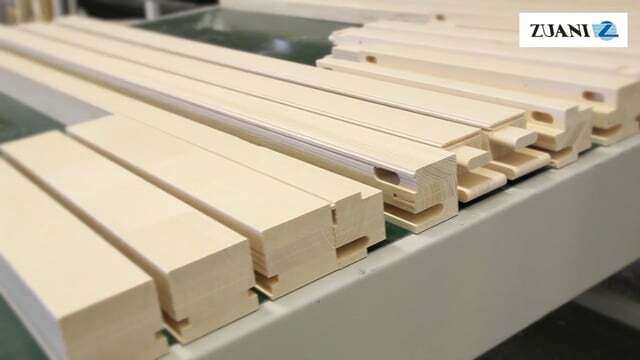 Using a backing block is a great trick for a fast and clean fill on the edge. 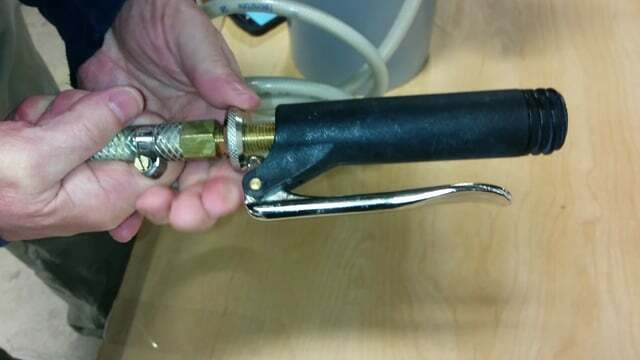 A quick repair with our Knot Filler rods. 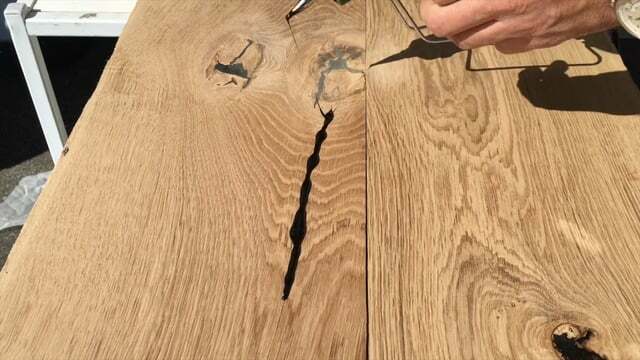 Quick video showing repairing a long scratch with Pine knot filler. 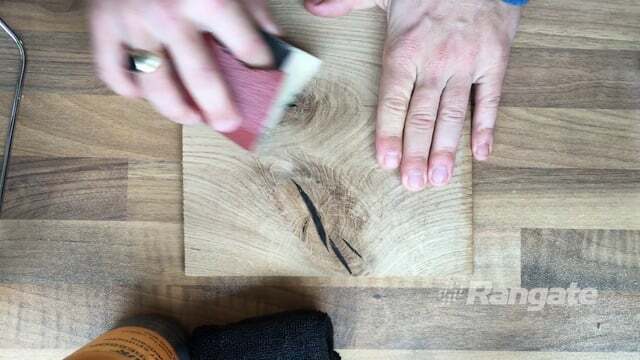 See a fast Knot Filler repair, finished with linseed oil. 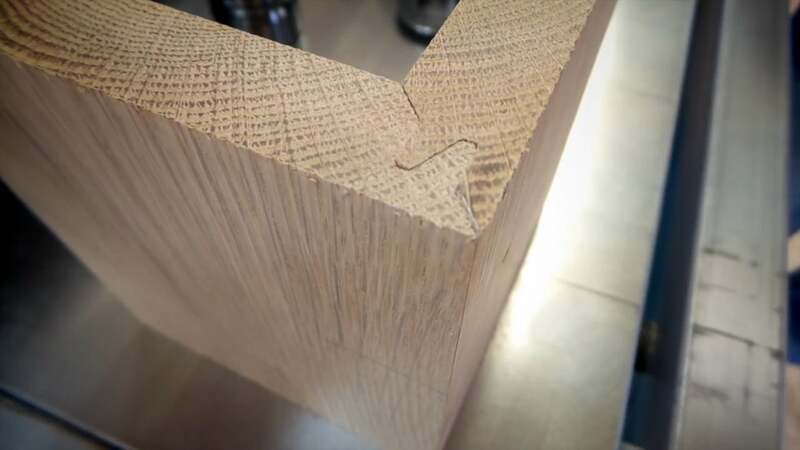 Another Knot Filler demonstration, showing the material contrast obtainable with finish. 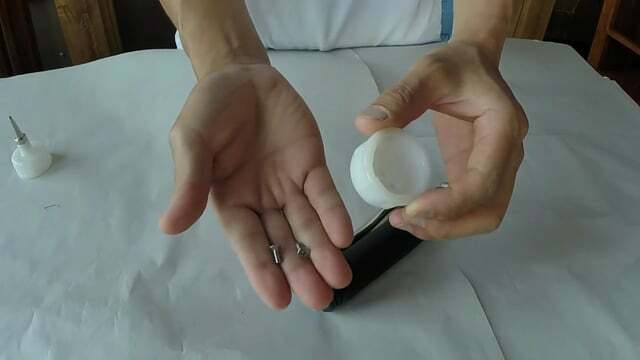 Demonstration on properly mixing Knot Filler in powdered form. More examples of using Knot Filler powder. 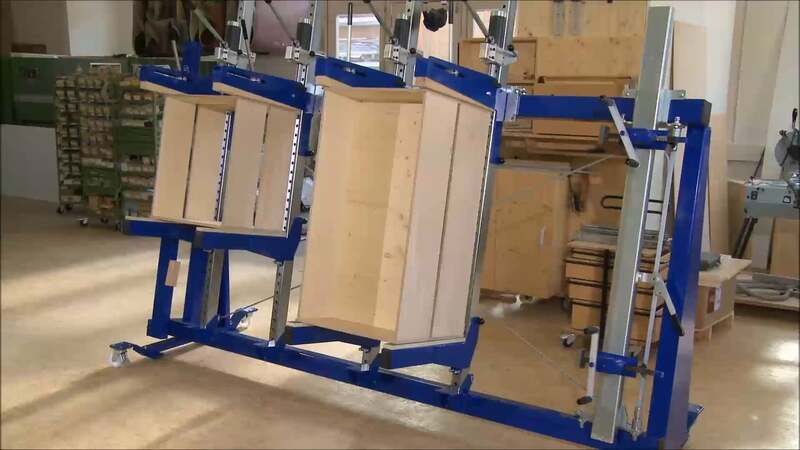 This video demonstrates the features of the Barth Multi-Press RP, the most popular series of Barth frame presses. 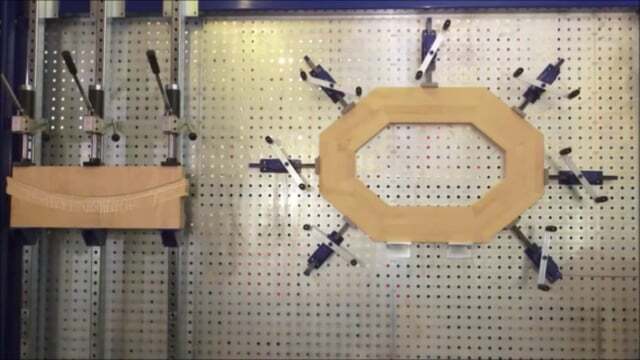 This video demonstrates the features of the RPG series Multi-Press units, which feature an adjustable top crossbar. 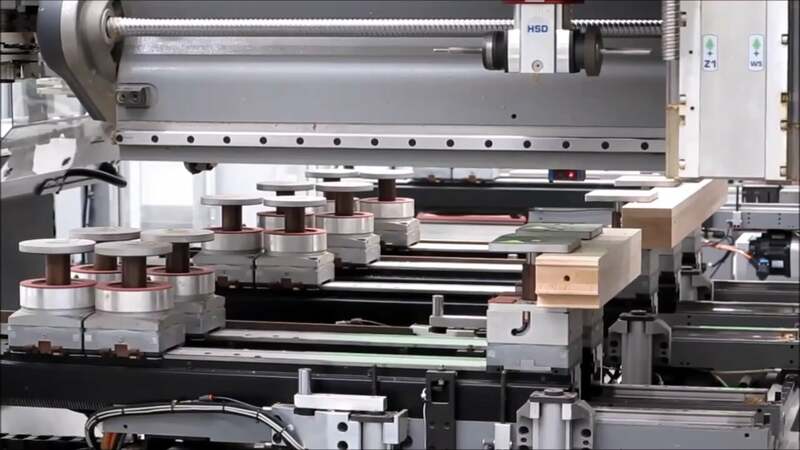 This video demonstrates the features of the RPG-L series of Multi-Press units, which feature a perforated backplate. 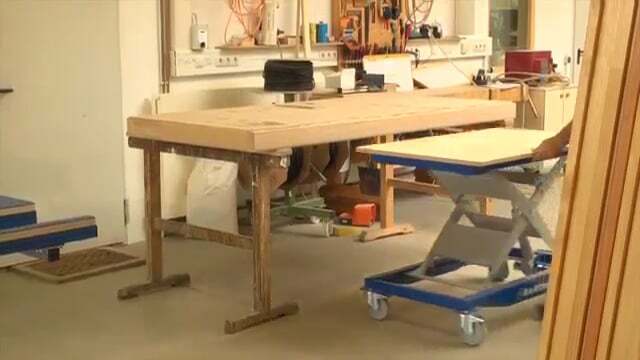 Watch the 500V work to its full potential as it takes on challenges at a German joinery shop! 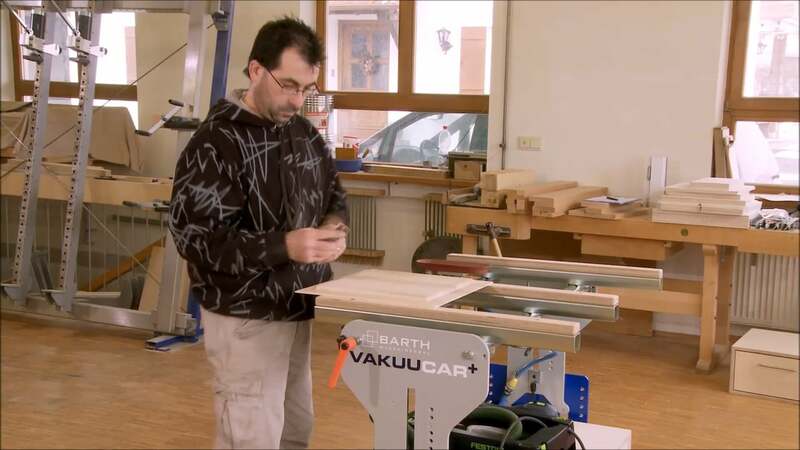 This video demonstrates the features of the Barth VakuuCar+ mobile workstation. 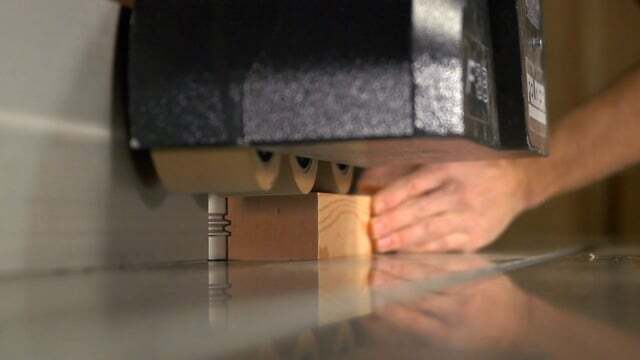 The VakuuSYST enables strong, scratch-free vacuum clamping at any work bench. 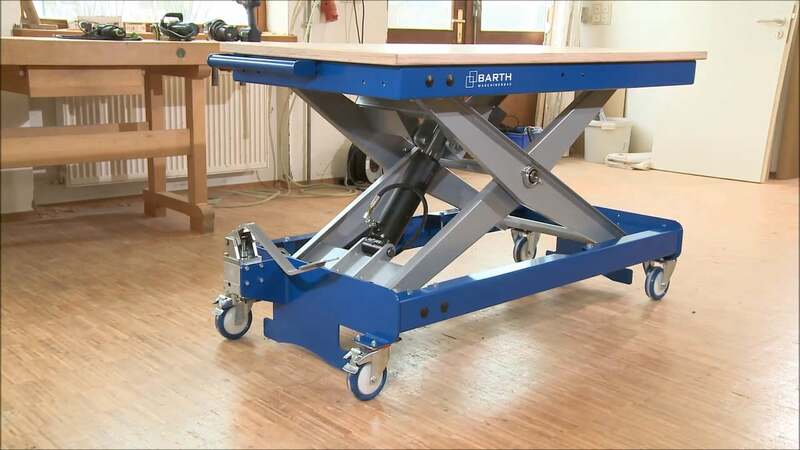 This video showcases the handling and lift ability of Barth's lift tables. 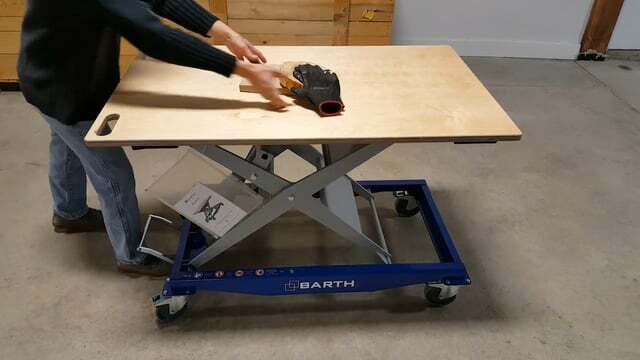 See the capability of the Barth Lift Table 300 LT in this video. 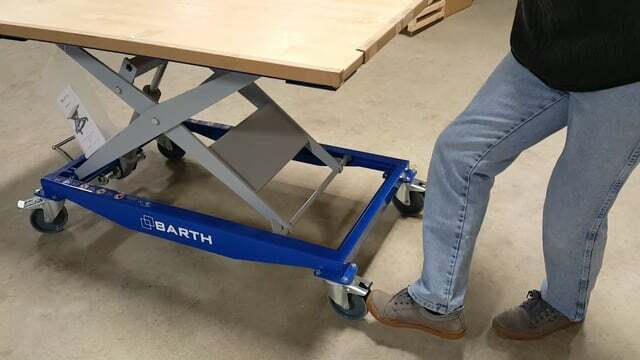 See how to raise, lower, and lock the casters on the Barth Lift Table 300 LT.
A closer look on how to operate the swivel brakes on the Barth LT 300 casters. Curious about how the Pizzi system works? 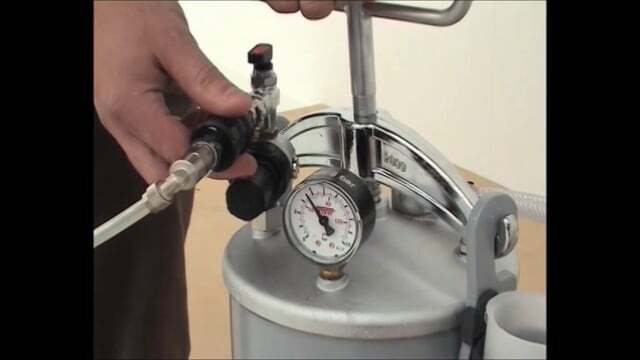 This video takes you through setting up and pressurizing your tank, as well as use of many of the specialized nozzles available through Rangate. 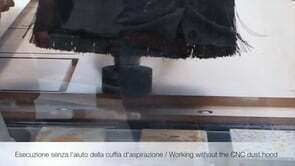 Quick example on how to adjust glue flow, with examples of the relative change between settings. 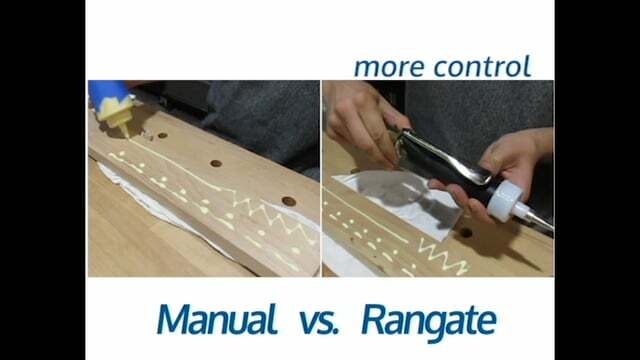 Compare the Rangate Pizzi directly to working manually! 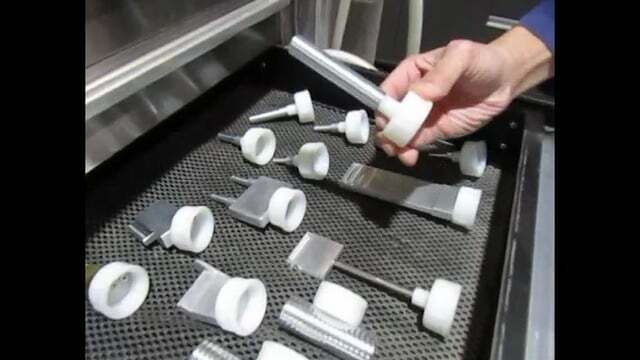 A quick overview of the many Pizzi nozzles available through Rangate. 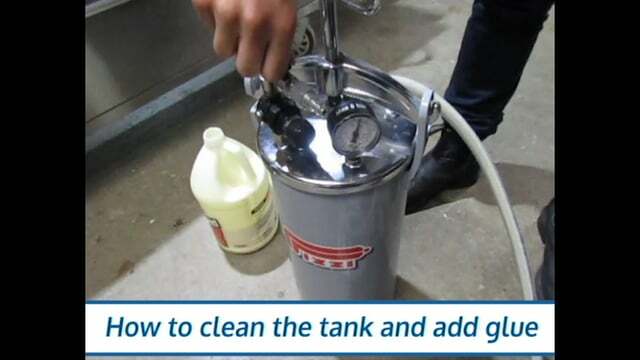 See how simple and quick it is to add glue and maintain the Pizzi glue tank. 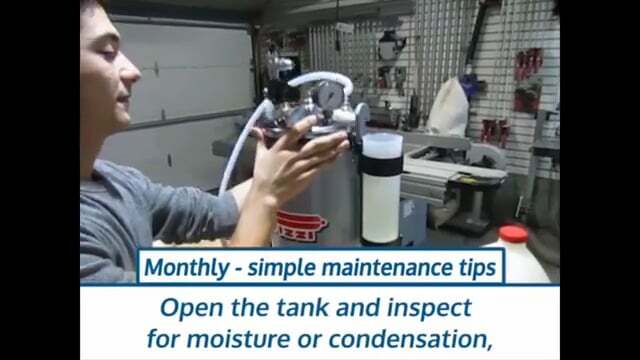 This video runs down the fast, easy checks every Pizzi owner should make monthly and yearly to maintain their tank in great condition. 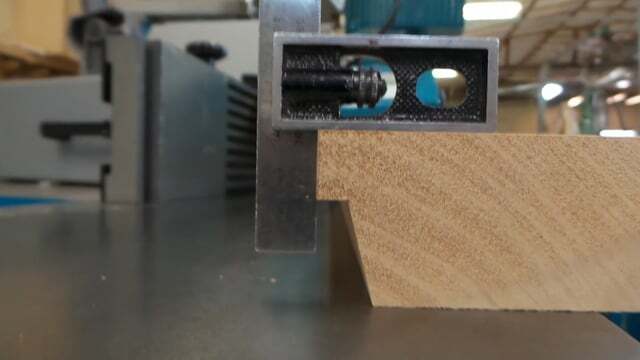 A quick how-to on maintaining your Pizzi nozzles. 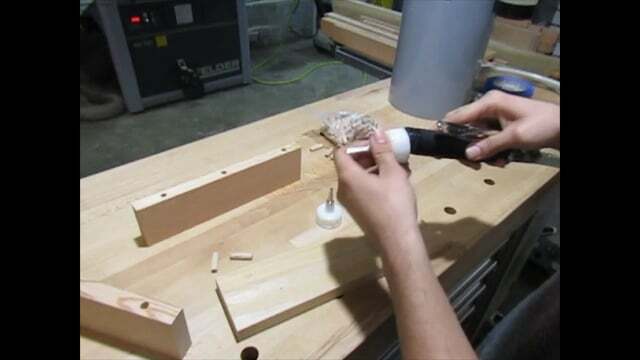 This quick video shows how our dowel nozzles can speed your dowel glue-ups. 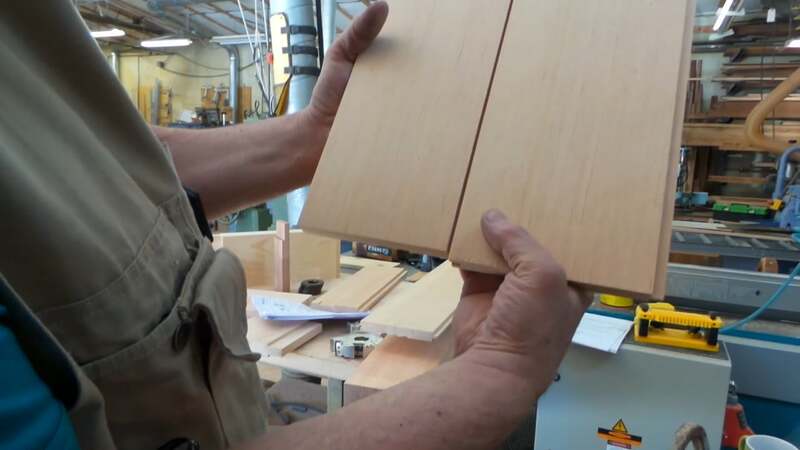 See how quick finger joint glue ups go from a headache to a cinch with the right tool. 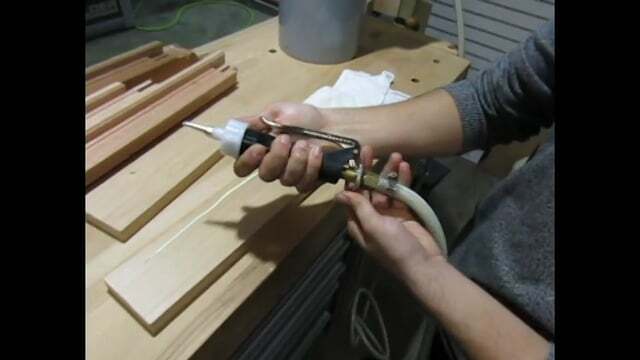 Quick video guide on how to increase or lessen the flow of glue through the standard Pizzi glue gun. 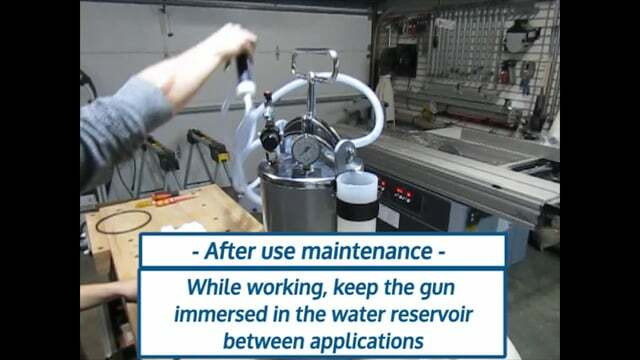 Quick guide on how easy it is to swap out Pizzi nozzles on the standard gun. Curious about what Omni Joint is, and how it works? This video will introduce you to the system. This video goes over the Omni Joint system. Another look at the Omni Joint system. 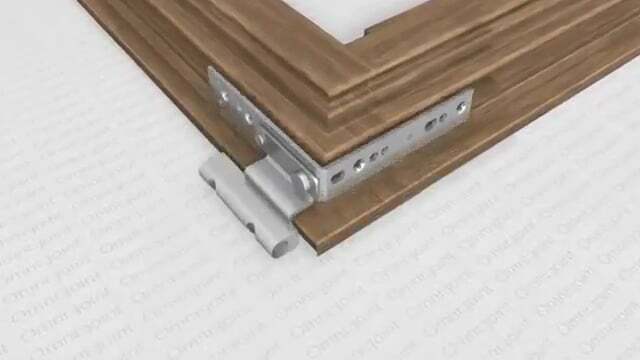 This video highlights the advantages of Omni Joint for joining windows and doors. 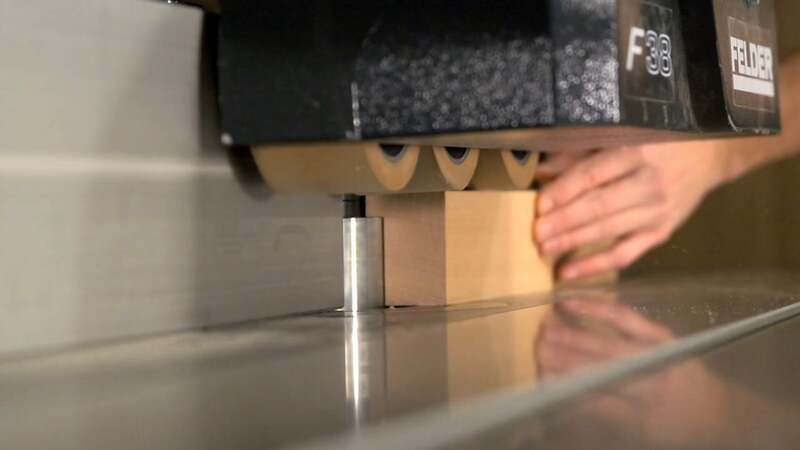 This video shows a CNC router milling out the pockets required for the Omni Joint system. 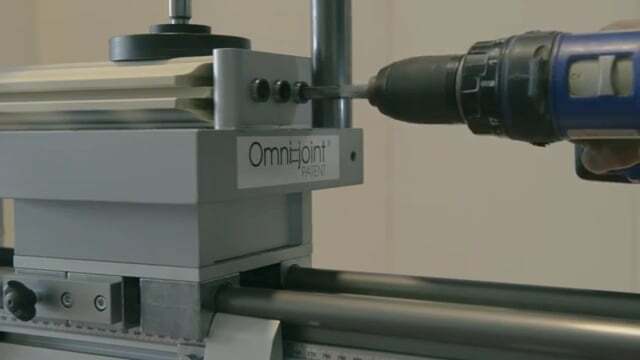 This video demonstrates working with Omni Joint via manual jigs instead of CNC routing.